There is something about driving towards something and getting beautifully lost between home and destination. Not off track, but certainly not on any particular train of thought. Music at the forefront, but also in the background. The night is obvious and the only part of your world that is lit up is 20 feet in front of you and any light that the moon decides to allow. 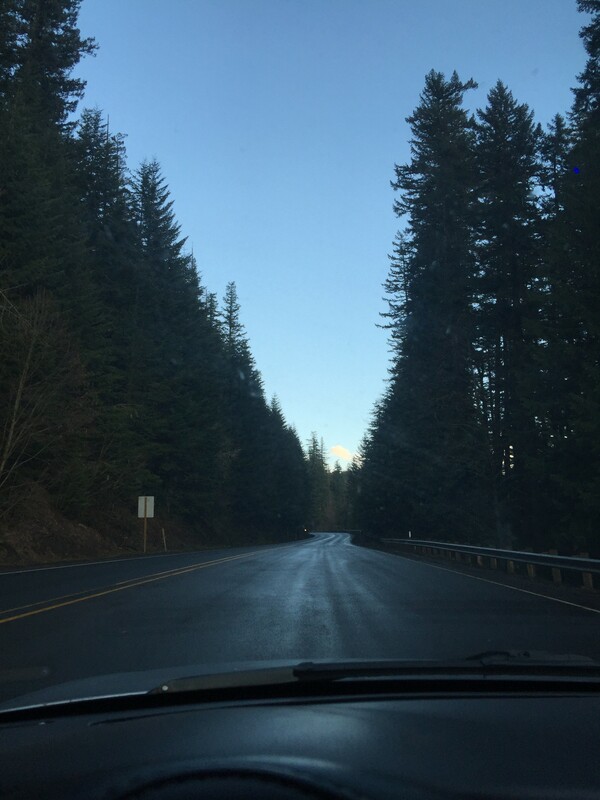 With the windows down,the breeze hits your face and you can taste the Oregon air...I love it. I can't help it: Driving alone at night, I absolutely love it. This was the case for my most recent venture. I journeyed about as far out of town that I could afford to go. The drive always seems to be such a hassle in the beginning. The logistics override the promised emotions of solitude and peace. They seem to get lost and forgotten somewhere behind packing too late and an itinerary shabbily followed. Soon, however, once the countdown and takeoff begin; with the music creeping louder, and the thoughts fade to get quieter. The world becomes completely new again. My mind is no longer a swarm of bees. The buzzing subsides and the ride takes me more than just a location on a map...I love it. I can't help it: Driving alone at night, I absolutely love it. It's those little things in life that can bring tranquility, and you gotta take them where you can find them. Celebrate them when you can.